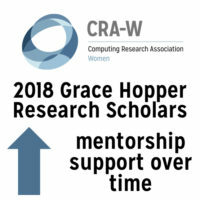 CERP evaluated the 2018 CRA-W Grace Hopper Research Scholars program using a pre/post methodology, wherein program participants were surveyed prior to the event and then immediately following the conclusion of the Grace Hopper Celebration. Results indicate that program participants reported statistically significant increases in their perceived mentorship support. The Data Buddies Survey came to a close at the end of February 2019. CERP wishes to thank all the departments who made data collection possible, with special appreciation extended to departments with at least a 20% response rate. 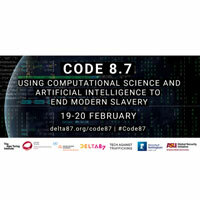 On February 19-20, 2019 the Computing Community Consortium(CCC) co-sponsored the Code 8.7: Using Computation Science and AI to End Modern Slavery with the United Nations University Centre for Policy Research, The Alan Turing Institute, Tech Against Trafficking, University of Nottingham Rights Lab, and Arizona State University Global Security Initiative. 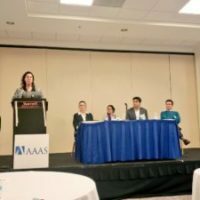 CCC held a panel at AAAS 2019 on Socio-technical Cybersecurity. 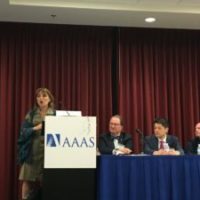 CCC held a panel at AAAS 2019 on Sustainably Feeding Ten Billion People. 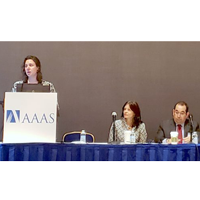 CCC held a panel at AAAS 2019 on Cybersecurity. CRA Board Member Charles Isbell has been named the next dean and John P. Imlay Jr. Chair in the College of Computing at Georgia Tech, effective July 1. 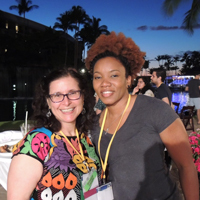 Isbell serves as the AAAI representative to the CRA Board. 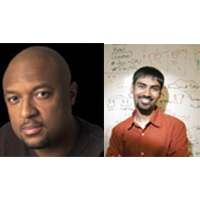 The Association for Computing Machinery (ACM) has announced its 2018 Prize in Computing award to Shwetak Patel, of the University of Washington and Google and a Computing Community Consortium (CCC) Council Member.